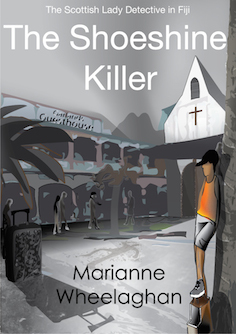 review by MaryomDetective Sergeant Louisa Townsend has returned to her native island of Tarawa in the Pacific to help implement modern hi-tech policing methods but coincidence leads her into heading a murder investigation. 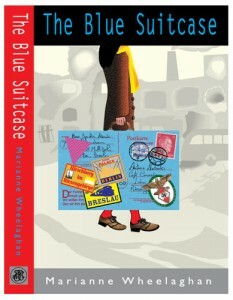 Although she’s well-versed in the manners and procedures of Edinburgh police, Louisa finds herself adrift and feeling powerless in this totally different world. 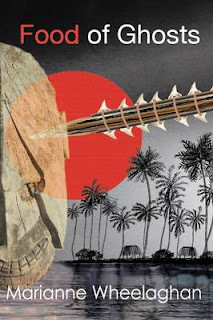 The locals – both native islanders and the substantial ex-pat community – seem bent on obstructing her, particularly by adhering to their belief that, because of the mutilation of the body, the victim must have been killed by ghosts. 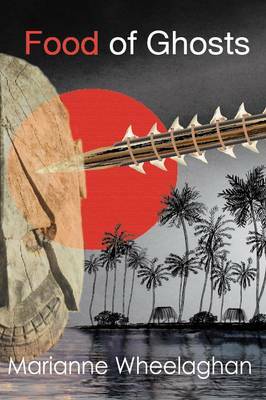 If you’re reaching saturation point with the doom and gloom of Nordic Noir, this lighter, brighter crime novel may be what you’re looking for – certainly the Pacific island setting is about as different as could be imagined. 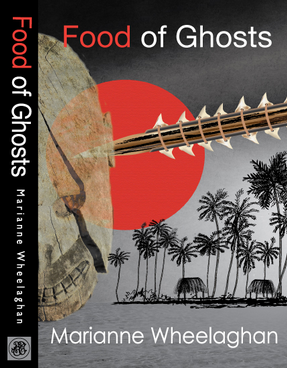 Food of Ghosts, despite the gruesome mutilation of the corpse, is a lighter sort of whodunnit – much like Midsommer Murders or Death in Paradise, proving that a beautiful setting yet again hides the same murder motives and shaky alibis as the grimmest inner city. As Louisa is returning to a place she only remembers from her childhood, the reader discovers it and its inhabitants along with her. There’s a great supporting cast of her, often unwelcome, relatives – all of whom will surely be back in Louisa’s further adventures. Although I didn’t guess the culprit, I should have done – the hints and pointers were there at the beginning but in a way so obvious that I, like Louisa, ignored them.